Northumberland County Council received far more compliments than it did complaints last year. During 2017-18, the authority received 824 corporate complaints, of which just 50 (six per cent) were escalated to the second stage, where they are looked at by a more senior member of staff. Corporate complaints are all those relating to council services other than children’s and adult services, which are dealt with under a separate statutory process. A report to yesterday's corporate services committee explained that 41 per cent of all categorised complaints related to three key service areas. The highest number – 161 or 22 per cent – were complaints in relation to refuse and recycling, 73 (10 per cent) related to street-lighting and 66 (nine per cent) were categorised as ‘other’ within neighbourhood and technical services. Coun Nick Oliver, the cabinet member for corporate resources, said that the most common complaints relating to local services is ‘as you would expect as it’s the way most people are in contact with the council’. If stage two complaints are not resolved satisfactorily, residents are advised to contact the Local Government Ombudsman. As reported earlier this year, 21 of the 98 complaints relating to Northumberland County Council received by the ombudsman were referred for detailed investigation with nine being upheld. This included a public interest report being published in the wake of one family’s issues. In a similar manner to complaints, the bulk of the 1,401 recorded compliments were for customer-facing departments. Outside those recorded in adult and children’s social care, of the remaining, 35 per cent were received by neighbourhood services, including for the speed of work carried out and the kindness of staff. A further 20 per cent were received by customer services, mainly for staff who people felt had gone above and beyond to assist with inquiries. 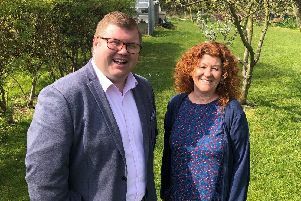 Mary Readman, the council’s new head of customer services, said that work is ongoing to improve customer feedback procedures, which will include better analysis of complaints and opportunities for learning from them.